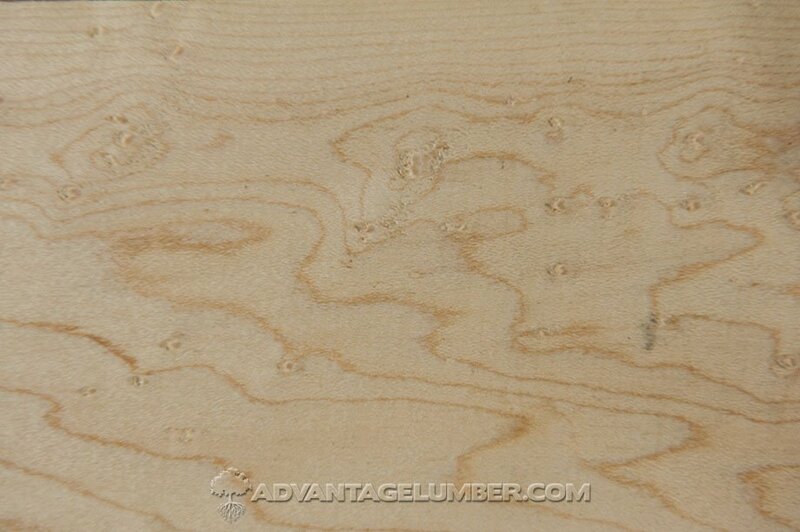 DESCRIPTION Birdseye maple is creamy white with a reddish tinge and usually has a straight grain, sometimes curly or wavy. Fine brown growth rings give an attractive figure on plain sawn surfaces. Rays are longer than in Soft Maple. Texture is fine and even. Birdseye Maple is distinguishable from Hard Maple by the round patterns scattered throughout the wood. Weight averages about 45lbs per cu. ft. MECHANICAL PROPERTIES High bending and crushing strength. Medium stiffness. Very good for steam bending. WORKING PROPERTIES Difficult wood to work with moderate dulling effect on cutters. Wavy or curly grains require a reduced cutting angle. Pre-drilling required for nailing and screwing. Takes stain, glue and polish satisfactorily. DURABILITY Heartwood is non-durable and sapwood is susceptible to attack by furniture beetle. Defects caused by insects (pith flecks) are sometimes found. 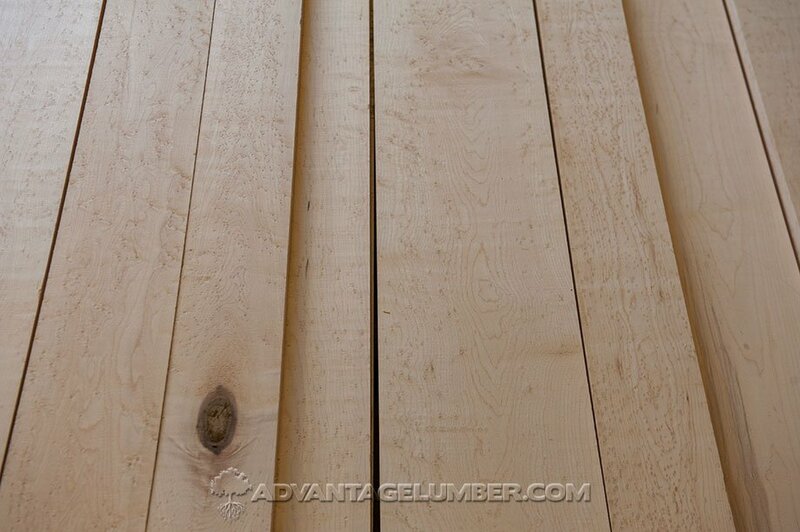 Heartwood is resistant to preservative treatment, but sapwood is permeable. SEASONING Dries slowly with little degradation or problems. Medium movement. 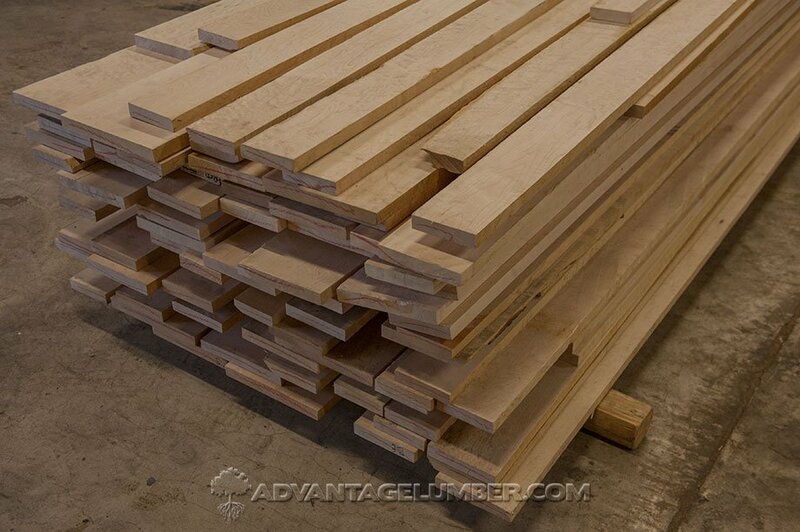 USES Suitable for furniture, joinery, heavy-duty flooring, dairy and laundry equipment, sporting goods, piano actions, paneling, plywood, veneering. Excellent for turning. 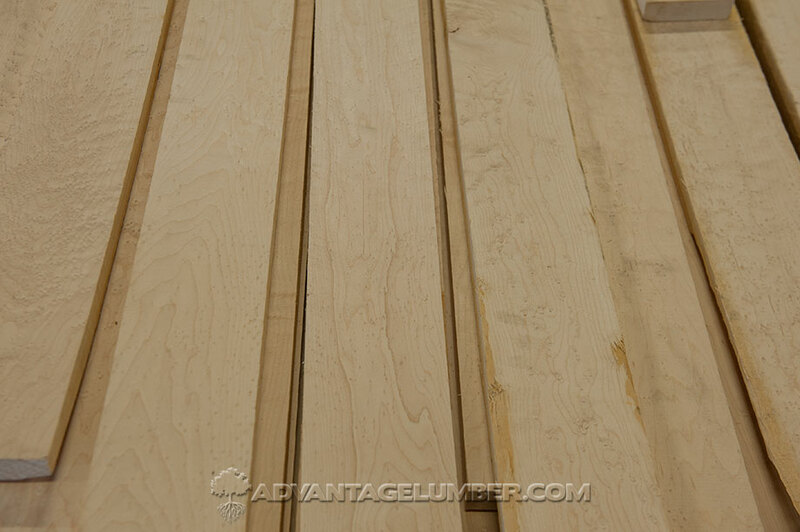 COMMENTS Selected stock is rotary cut for Bird's Eye Maple veneer. Has a high resistance to abrasion and wear.